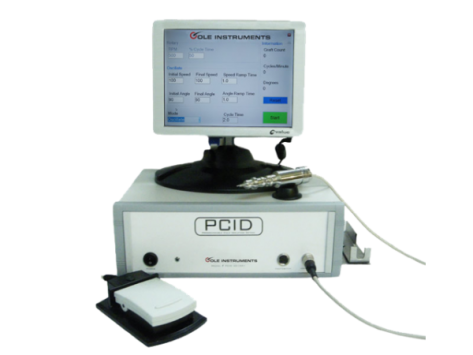 The PCID by Cole Instruments features a new automated device / medical tool to precisely and safely harvest hair follicles via FUE (Follicular Unit Extraction) allowing to control the hand-piece / extraction punch via a touch screen controller. Motorized FUE Machine PCID: Fastes and safest FUE Extraction ever! An automated computer based system will ensure an accurate extraction of follicular units (grafts) during hair transplant procedures via FUE with precise depth control mechanism to safely remove follicles from the donor area of the patient. As it is faster than manual extraction the PCID will perform a higher yield of extracted grafts / follicular units on a daily basis. The PCID being manufactured by Cole Instruments and personally developed by the “Pioneer for FUE” Dr. John Cole is almost on the way to turn the tides in the hair transplant business as it marks a new technology encompassing the motorized / automated FUE extraction punch to start with unlimited settings. Surgical tools / devices (machines) have always been manufactured for limited use only. The PCID device allows specific automated extraction modes (oscillation, rotation, roto-oscillation) and accommodates new surrounded punches being sharper and more precise than any other electronic or robotic device. As it allows optional settings for speed and controlled changes from one extraction mode (oscillation or rotation) to another as well an exact duration in time between every hair surgeon has the chance to individually approach to the patient respecting his various attributes of skin and grafts (follicular units). The PCID machine allows different methods for automated extraction via FUE hair transplants and respects the complexities of humans to automatically harvest follicular units. 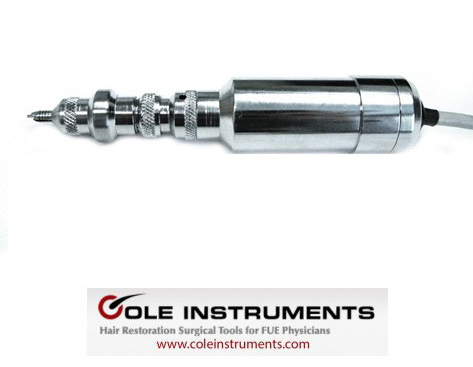 The Cole Punches for the PCID – Sharper then any FUE punch in the world > Transection Rates below 2,58 %! Motorized FUE Extraction Devices – Machines like the PCID has the benefits of reducing fatigue and repetitive stress injuries associated with the normal extraction of individual follicles .